Marion worked at a nursing home during her career and it’s because of this work she feels a passion for Golden Links Lodge. It’s important to Marion to give back to her community. Marion serves as the Treasurer for Golden Links Lodge Board of Directors. Marion has belonged to the Odd fellows and Rebekah’s 40 years. Giving back is in her blood! In her spare time she loves curling and playing cards. Marion also spent many years as a Girl Guide Instructor. 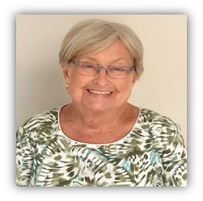 It is with a contribution of her life experiences that Marion gives her time and passion to Golden Links Lodge. We are very thankful for her time and commitment!